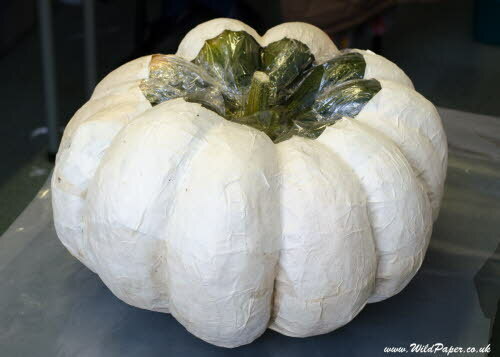 Leave the area around the pumpkin stem without paper, as this will be the opening for the bowl. Let this dry overnight. Repeat the procedure above until you have built up 3 or 4 layers of paper and let it dry well.